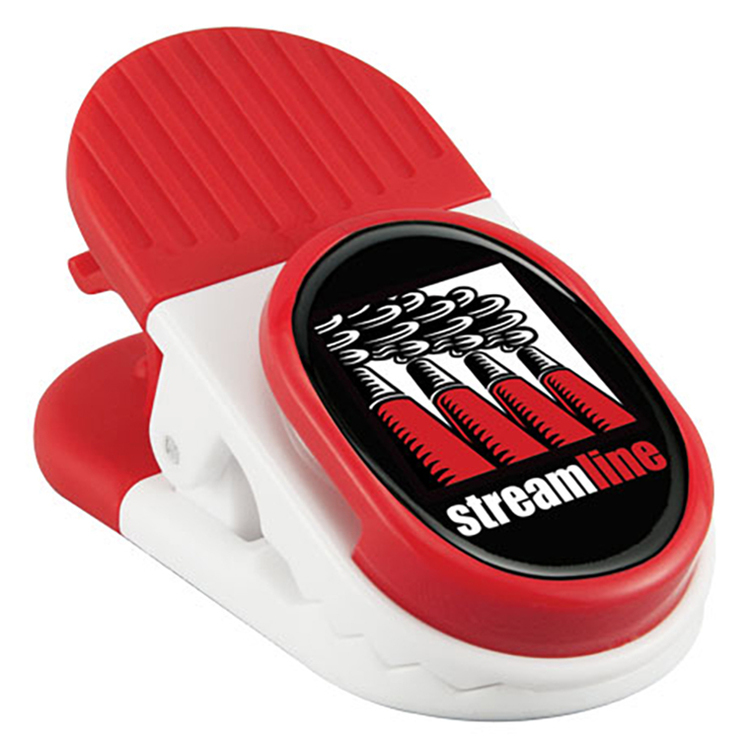 Our magnetic bottle opener clip has includes a magnet on the back side and spring loaded hinge. 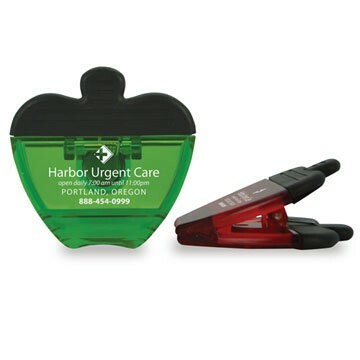 Great promotional product giveaway for any event or occasion. Available in a variety of new colors! 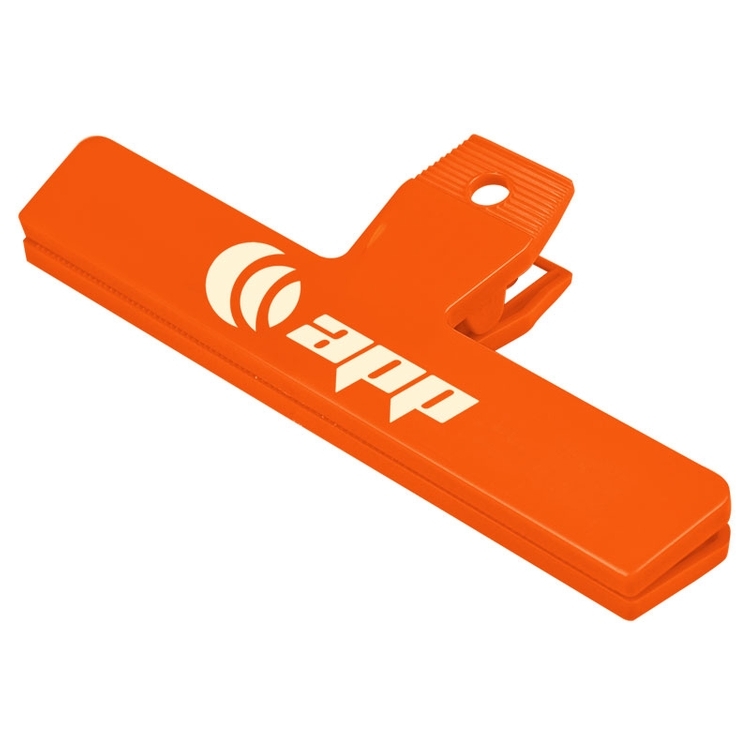 Our binder flip clip will keep your paperwork neat and organized. 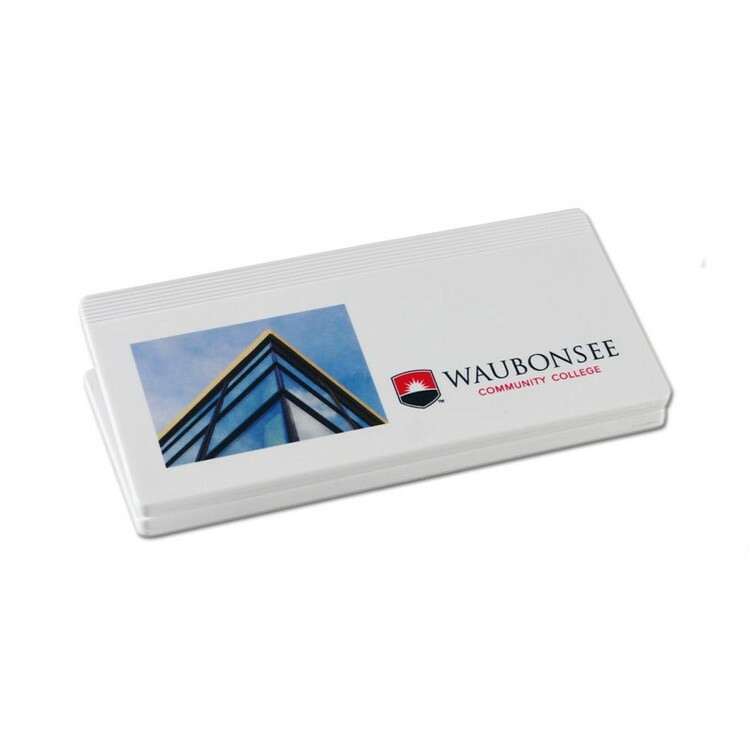 This binder flip clip is a great office giveaway or promotional product for any trade show or event. 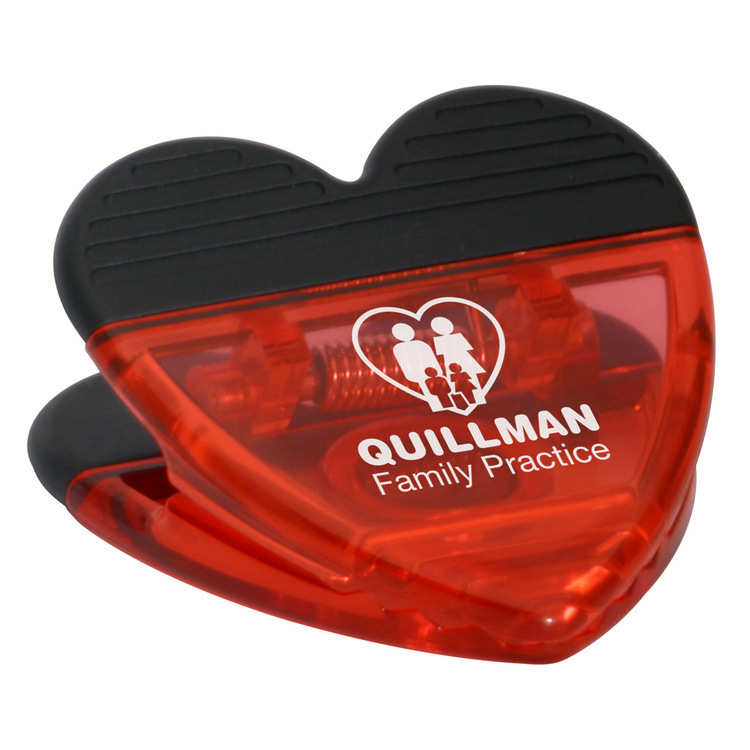 These binder flip clips also come in a variety of translucent colors! 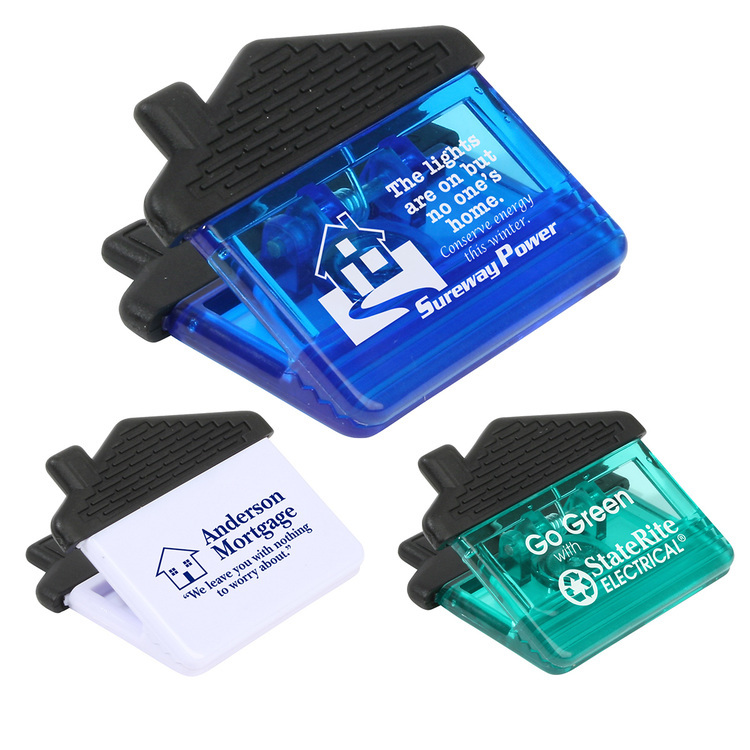 Your clients will stay organized with your brand on these great binder flip clips! 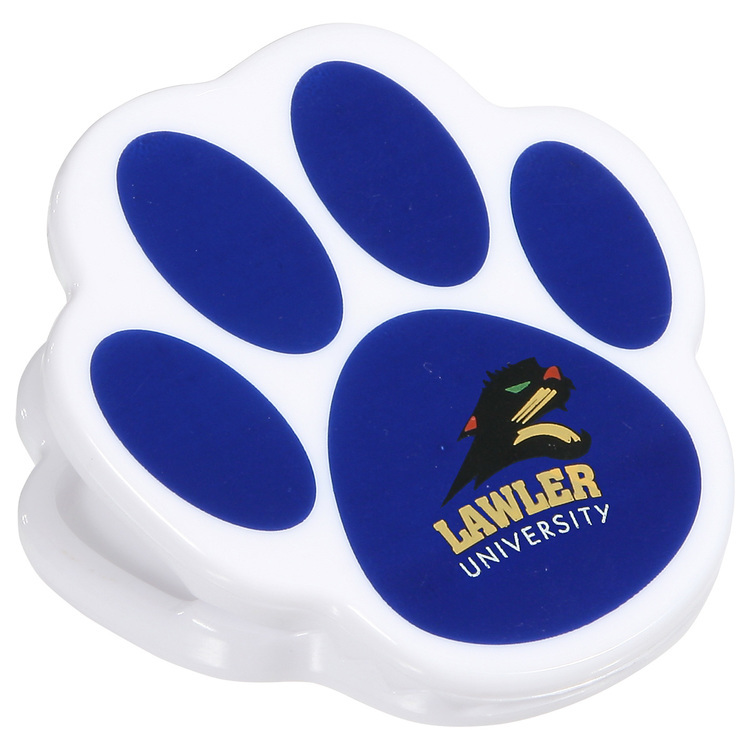 Our furry friends can help us stay organized; Paw shape for canines or felines; Powerful, chrome-plated magnet, plus the tiger-grip clip; Scratch Up Some Advertising. Alligator clip with spring loaded hinge and magnet on back side. 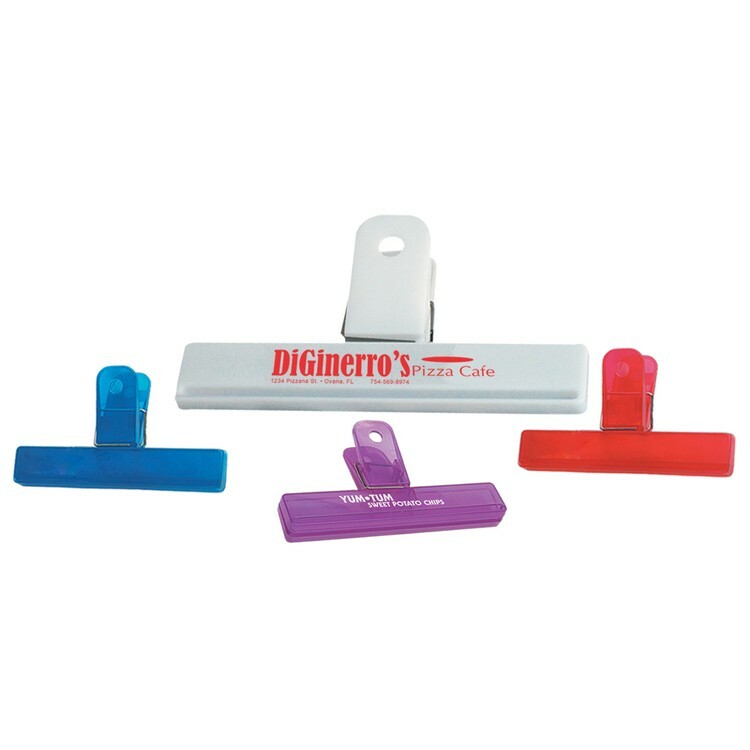 These alligator clips with magnets have a large rubber grip and large imprint area. 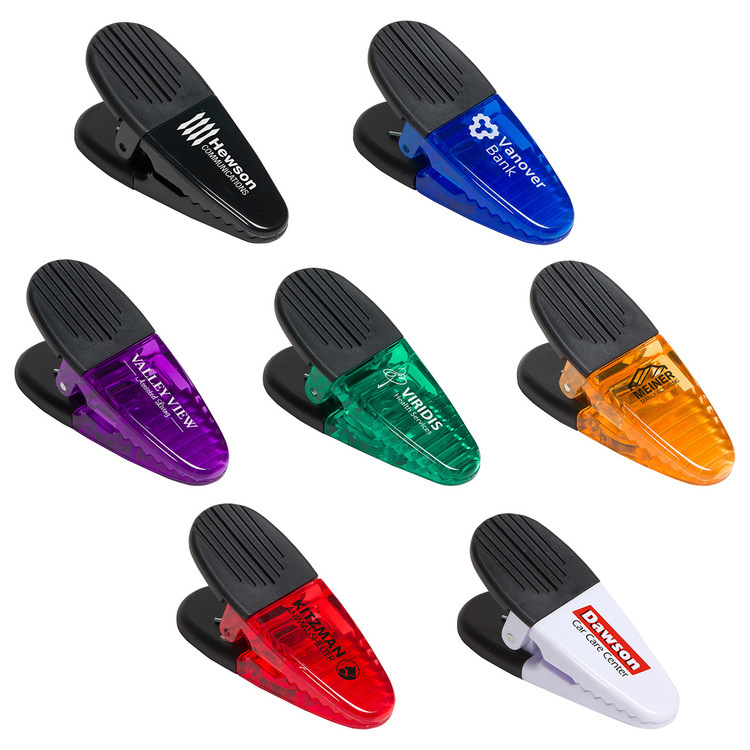 Our alligator clip with magnets are a great office giveaways or promotional product for any trade show or event. 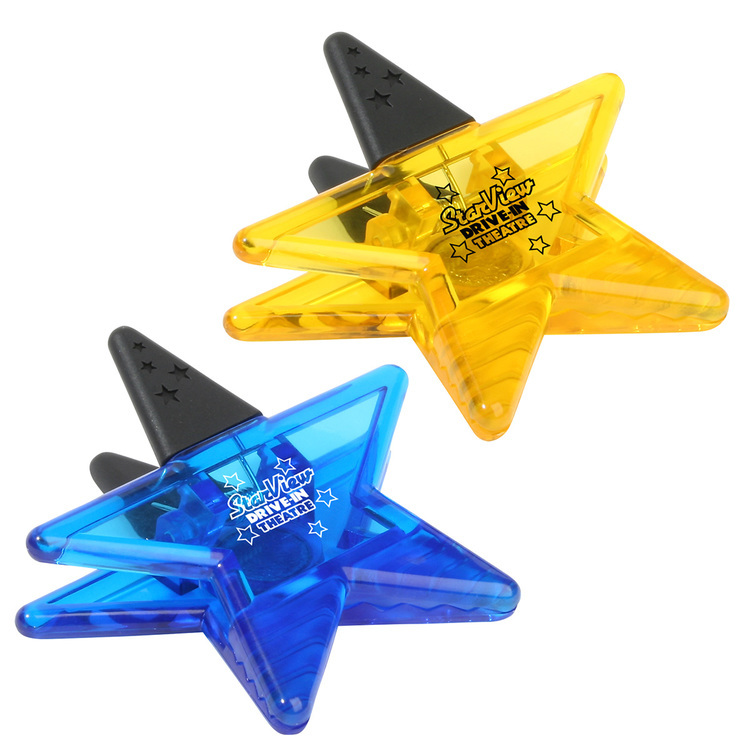 These alligator clips with magnets also come in a variety of colors! Our 4" bag clip will keep your snacks fresh and spill free. 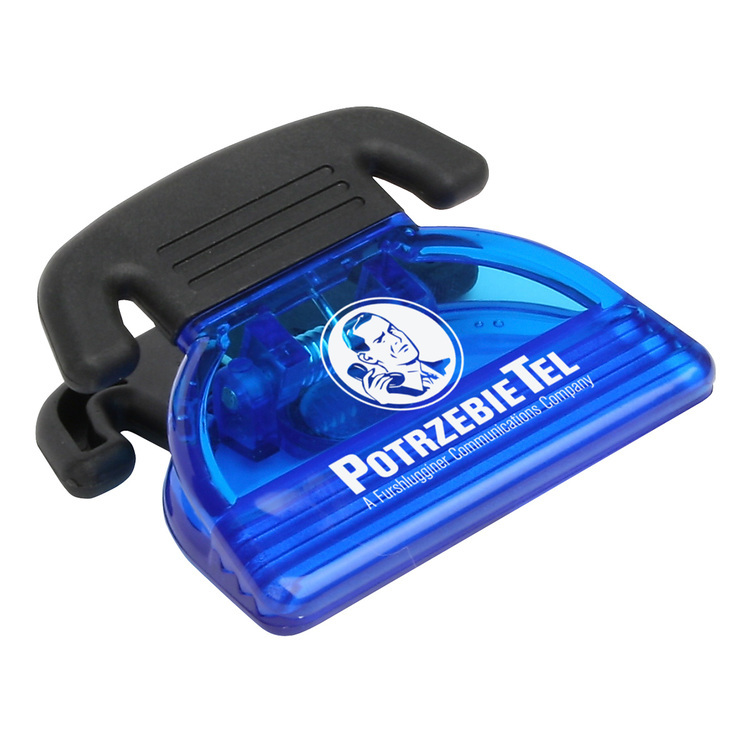 This bag clip is a great office giveaway or promotional product for any trade show or event. 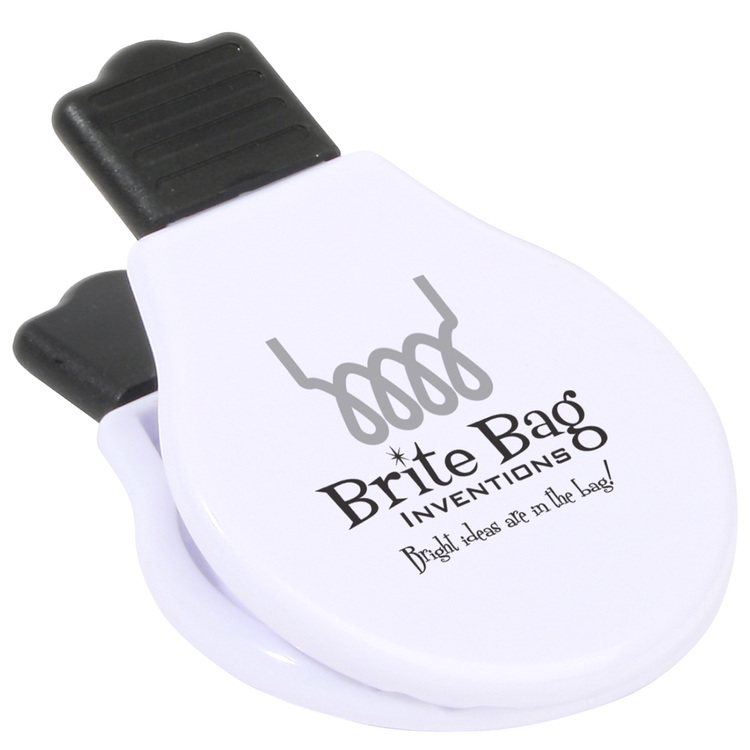 These bags clips with also come in a variety of translucent colors! 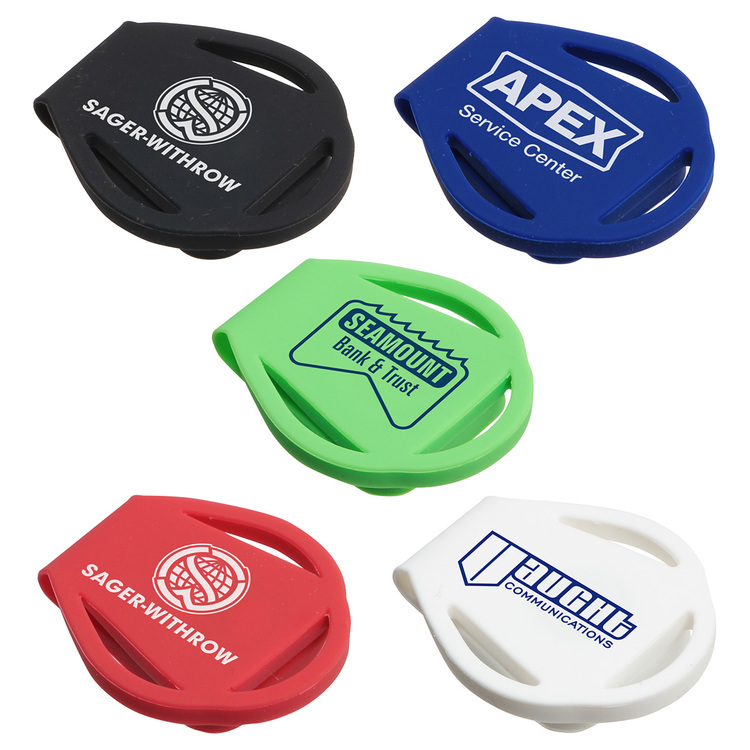 Your clients will snack well with your brand on this great bag clip! 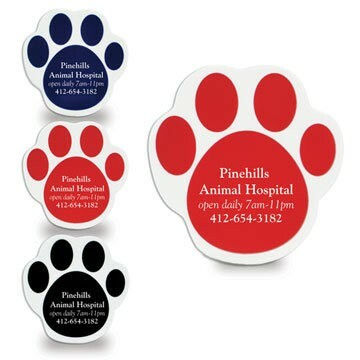 A powerful clip combined with a powerful, chrome-plated magnet equals powerful advertising; Non-slip, black grip; ; Take A Bite Of This Advertising. Add a bit of bling to your photo walls, bulletin boards, or maps! 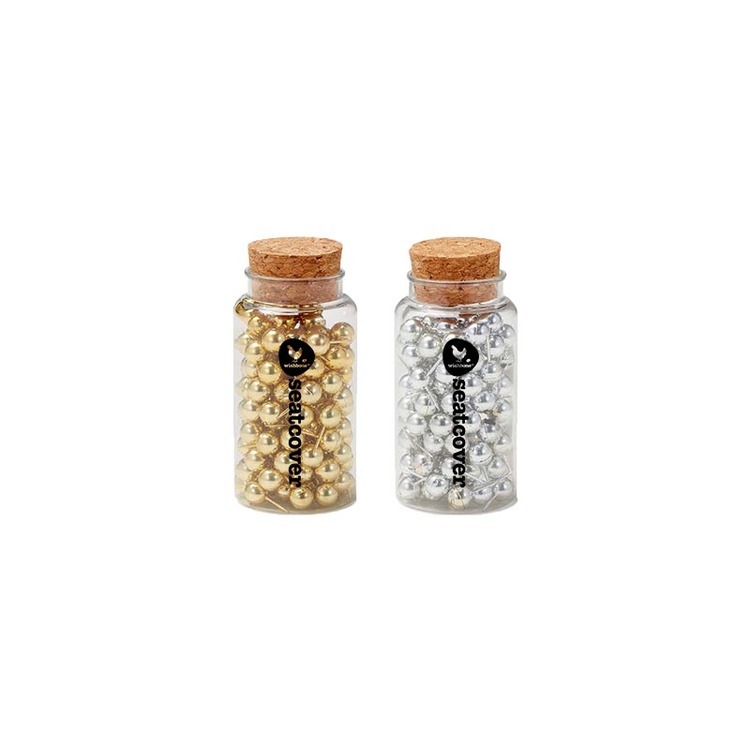 Packaged in shatterproof plastic jars with real cork tops, this item is a hit with anyone who likes a bit of flair with their office organization. 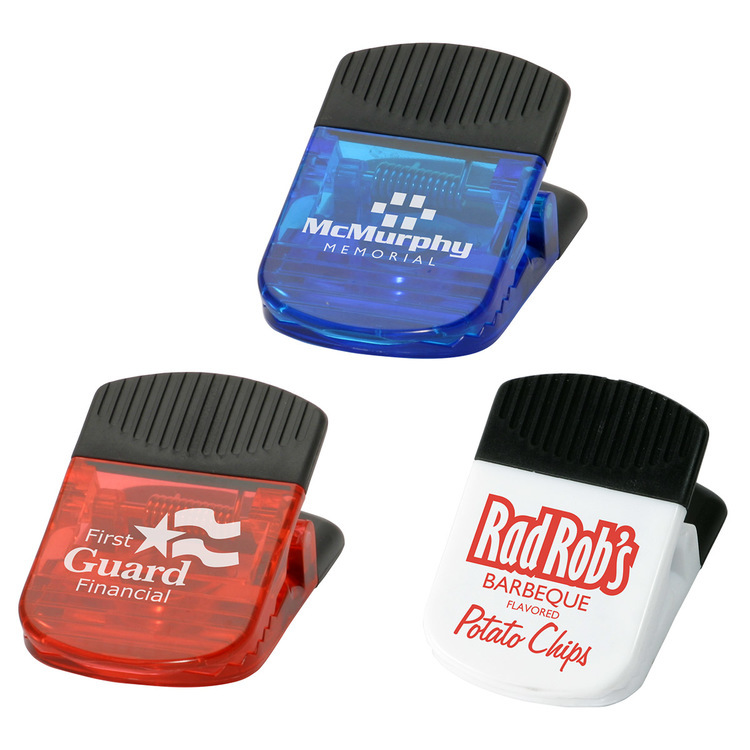 Our memo clips are a great office promotional product gift. 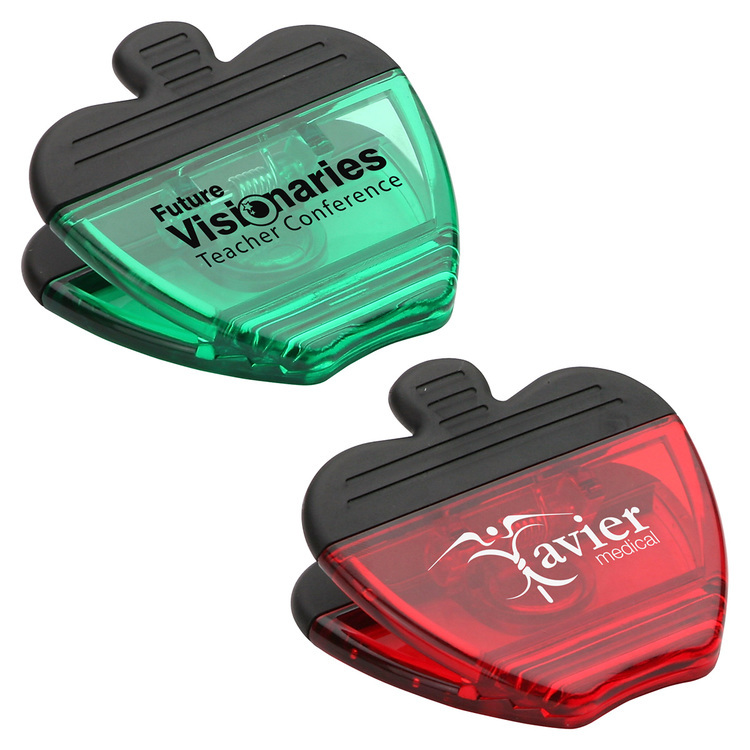 These memo clips include a spring-loaded hinge and magnet on the back side. 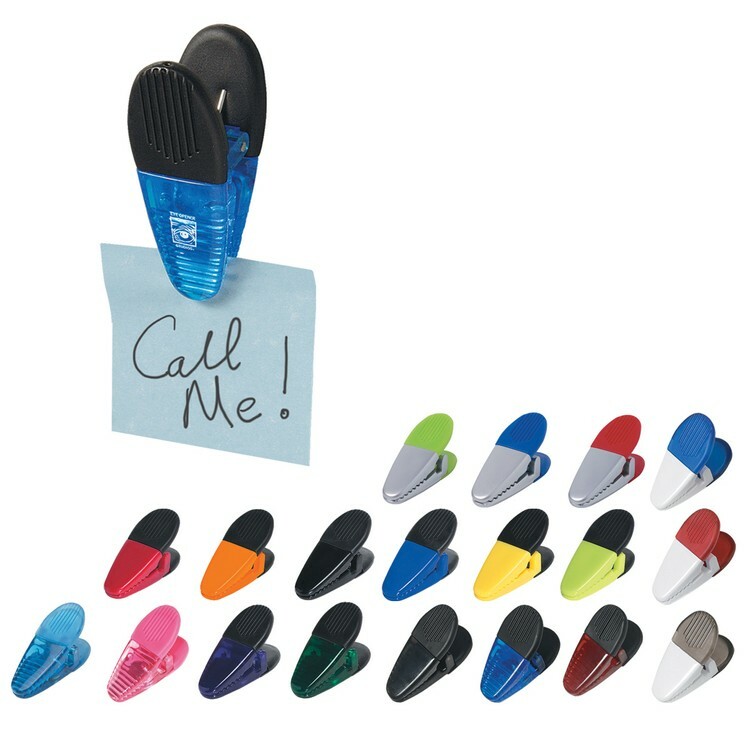 Memo clip trim colors include black, blue, lime green, orange, purple, or red. 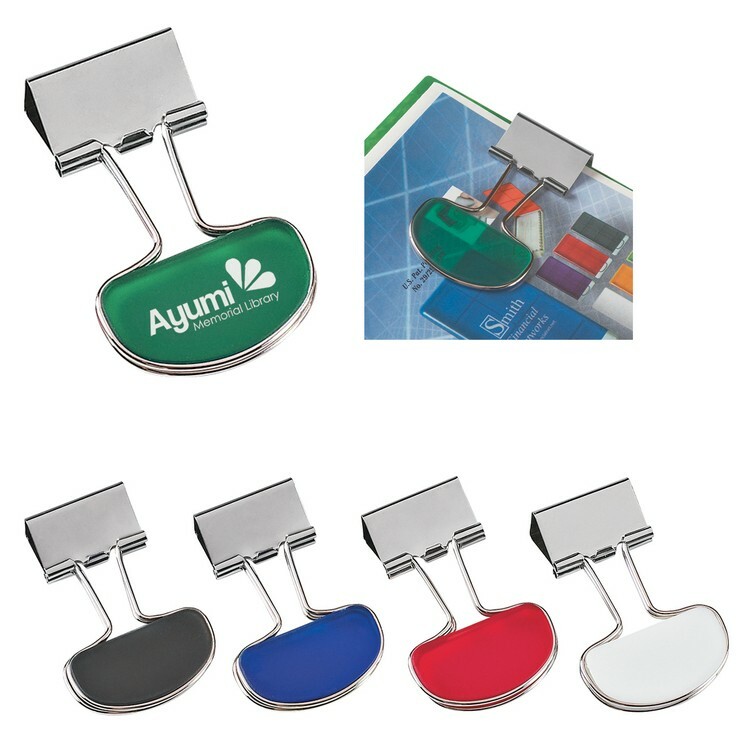 These memo clips are printed with standard silk-screen colors or Digitbrite full color process. 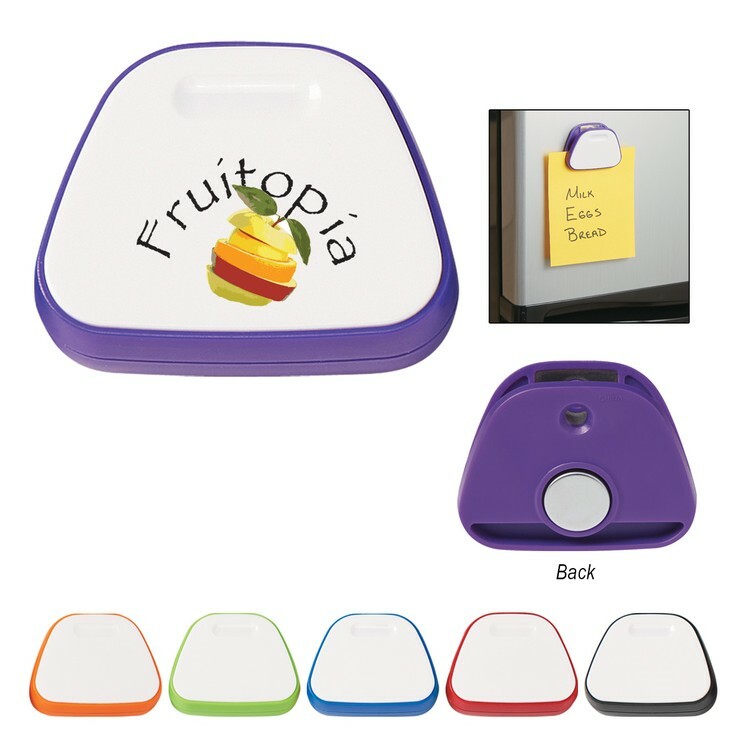 Jumbo Magnet Memo Clip Price includes one color imprint. Individual Polybag. 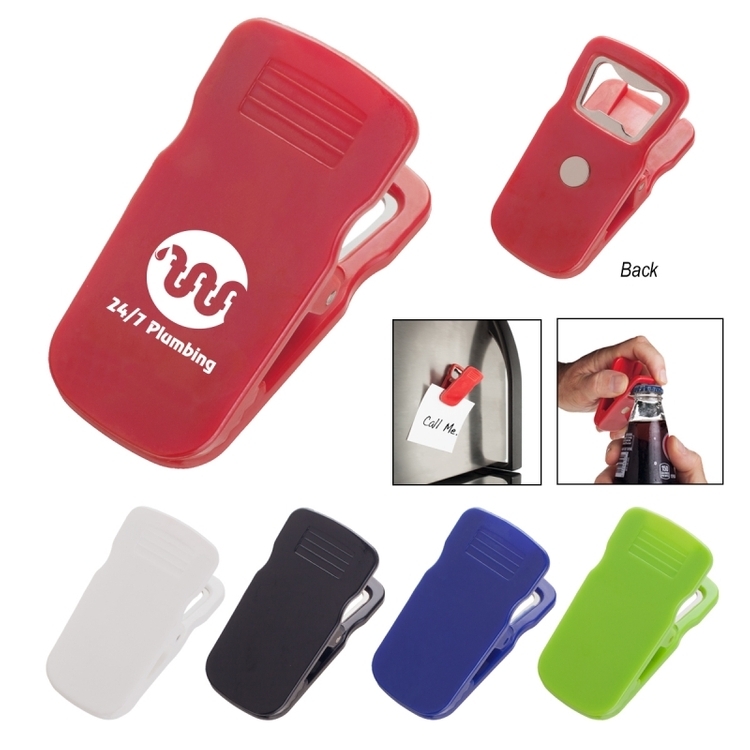 The Clip-All is a silicone dual-magnet powerful clip that is great for holding keys, as a refrigerator magnet and more! 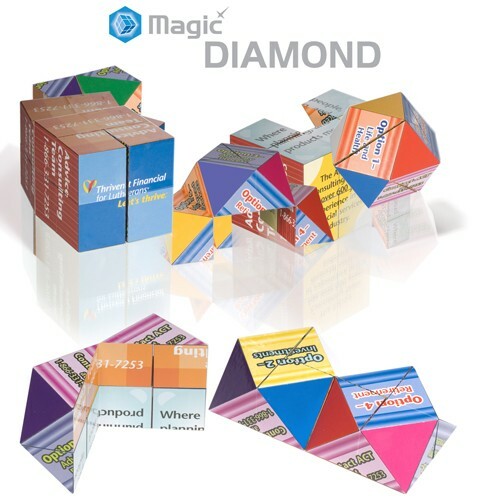 Hang onto potential clients' interests with this Deluxe Magna Clip with N-Dome (TM)! 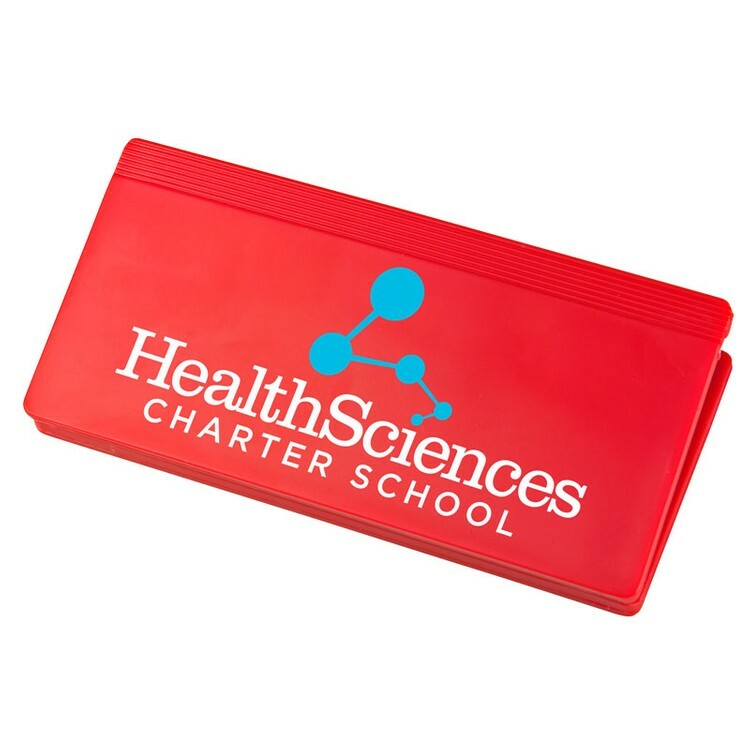 Available in 3 color combinations, this 1 1/2" x 3" item is a clip, pen holder and card holder in one. It even has a magnetic back. 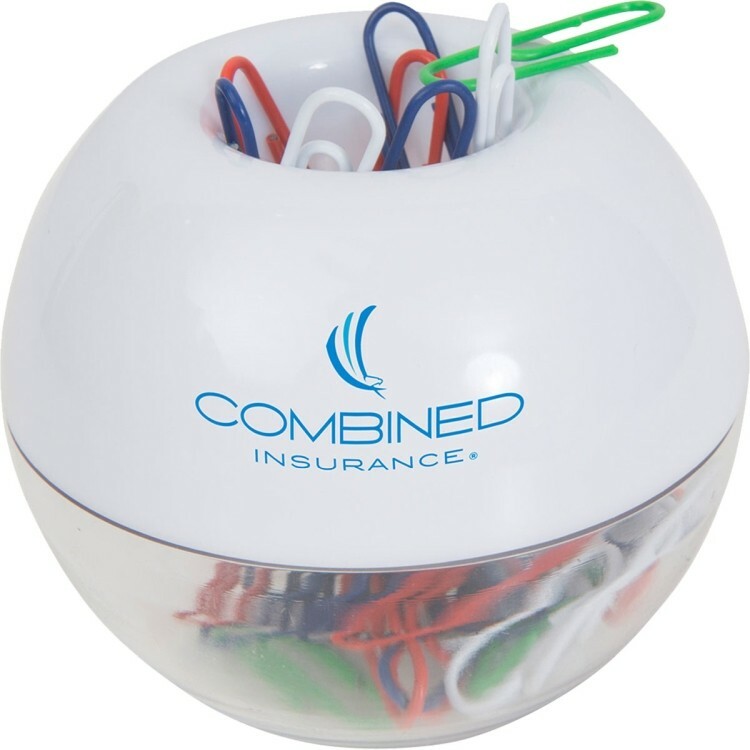 The four color process N-Dome (TM) imprint of your company's name or logo yields incredible color. 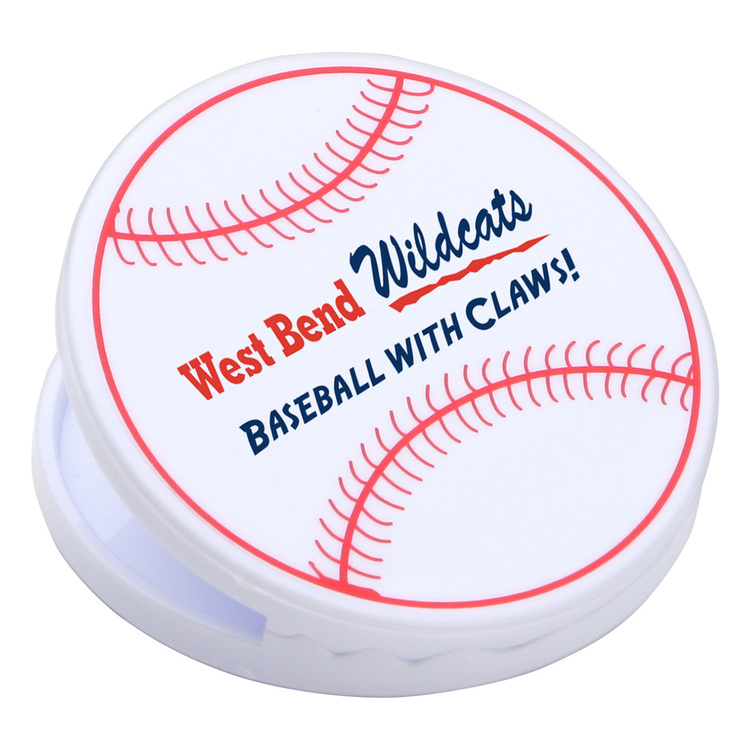 This is a great advertising tool for tradeshows, expos and grand opening giveaways. Capture their attention and close the deal! 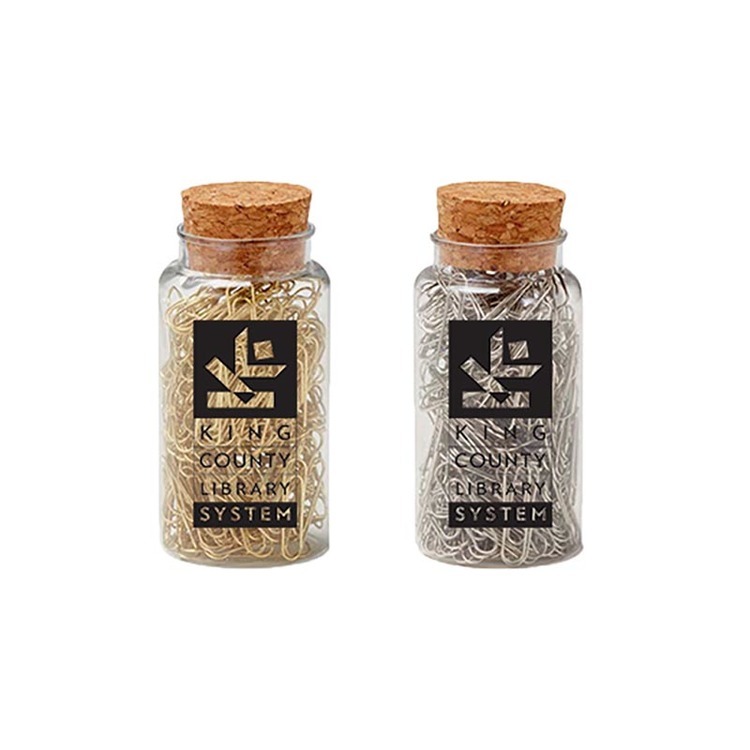 When compiling documents, what could be better than a shining gold or silver binder clip? 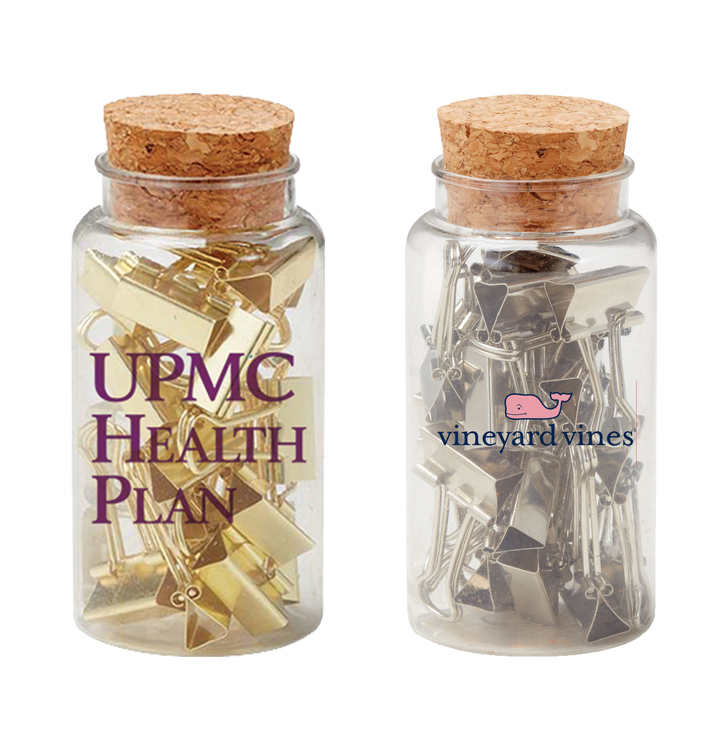 Packaged in shatterproof plastic jars with real cork tops, this item is sure to add some shine to your desk!